RapReviews.com Feature for June 9, 2009 - Black Eyed Peas' "The E.N.D." 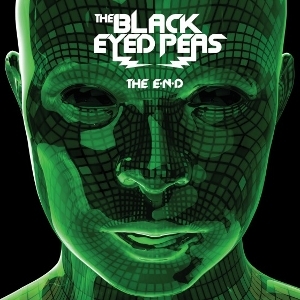 Black Eyed Peas :: The E.N.D. The Energy Never Dies - so sayeth the Black Eyed Peas. A two decade span of recording and releasing albums also says it well. While BEP have not always been regarded as hip-hop's most musically or lyrically innovative group, the consistency and longevity they have displayed as recording artists simply can't be questioned. Taboo, Apl.De.Ap and will.i.am can also hold up their group's history of chart-topping hits with pride, dating all the way back to "Joints & Jams" in 1998, a span including highlights like "Request Line" with Macy Gray and "Where Is the Love?" featuring Justin Timberlake. They may be best known for the worldwide smash "Let's Get it Started," a song originally (and somewhat naively) titled "Let's Get Retarded" which they had to revise and retitle to get commercial play - and they got a LOT of it. If that wasn't enough to hang their hats on, they can also take credit for introducing pop-singing sensation Stacy Ann Ferguson a.k.a. Fergie to the world, a member of BEP from 2003 to the present day. 2009's "The E.N.D." starts out with the latest smash single from the Peas entitled "Boom Boom Pow." The will.i.am track works by taking minimalistic production to levels almost previously unseen. A humming noise line in the background for the first minute sounds like a nuclear plant klaxon heard from miles away. The sound is married to a bass beat that only punctuates the song's title whenever it is spoken. The siren noise gradually fades away after BEP introduce to the hook and start the first verse, but it comes back again and again, only briefly being drowned out by a hyper-electronic melody from the two minute mark that lasts for about 40 seconds. It comes right back in as Fergie spits her signature rap verse a second time. I got that boom boom boom, that future boom boom boom"
Took my heart to the limit, and this is where I'll stay"
In fact a whole slew of tracks were released in an iTunes promotional stunt the Peas titled "Countdown to The E.N.D." before the album's worldwide release on June 3rd, even though the CD didn't officially drop in the United States until today. Why the delay? It in part reflects the Peas further transition from being thought of as a hip-hop group to one which is more about electronic, dance, groove pop music. will.i.am used to be easily recognizable as the lead vocalist of the group, but on tracks like "I'mma Be" it's fairly obvious that he's fallen back to playing a support role while "Fergie Ferg" has the most recognizable (and quite frankly least absurd) raps. That's not such a bad thing since will.i.am has always been a quality producer behind the boards, but surprisingly will seems to be imitating as opposed to innovating on tracks like "Alive," a song whose beat and hook could have been ripped straight off Kanye's "808s & Heartbreak." And it's true girrrrl, you make me feel al-iii-ii-iiive"
Feel free to insert a warbling AutoTune computer effect into any of those I's above. It's not solely will's fault that the album feels derivative though. On "Missing You" Fergie is trying to sing like a horridly genetically spliced together mixture of Kelly Clarkson and Pink - or at least it's horrid until the beat comes in and then you want Fergie Clarkson back. It's a rare mistake for will - a farting cacophony of noise that Kanye would have left in the recycle bin on his laptop. "Party All the Time" shares a song title with an incredibly cheesy pop hit by Eddie Murphy, but after listening to BEP you'll be nostalgic for his version. "Ring-a-Ling" has the same unintentional effect, making me want to hear "Ching-a-Ling" by Missy Elliott instead of the speedy nonsense verbals like "if freak is freaky then freaky I'ma get" and a backdrop that feels like Space Invaders remixed at 125 BPM. Songs like "I Gotta Feeling" show that will.i.am can croon and AutoTune just like Lil Wayne, they do not subsequently convince me that it's a good idea for him to do so. Songs like "Boom Boom Pow" show that the Black Eyed Peas can craft top selling singles that play off Fergie's ever increasing popularity and make pop-friendly jams, they are the hip-hop equivalent of cotton candy - except that even cotton candy has more substance. If one is being perfectly fair about it though, it's easy to foresee that "The E.N.D." will be the best-selling Black Eyed Peas album to date. Whatever made this a substantive and interesting group a decade ago has been completely lost in the process, but if all you care about is dancing and partying then take their word for it on "I Gotta Feeling" - "easy come, easy go, now we on top."